In today’s edition of WTF Was She Thinking, one girl took contouring to a completely new place. While most of us are perfectly content accentuating our bone structures (or lack of it) using, you know, simple strokes, this girl went ahead and drew a bunch of penises on her face. Once you let that sink in, watch the full video below. 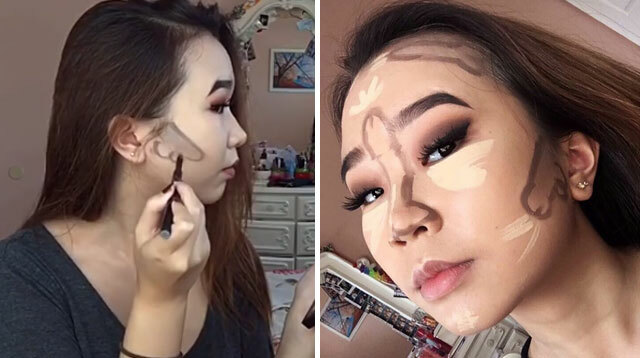 Decide whether contouring with a face full of penises has any obvious advantage—other than to make a tap-worthy social media post.